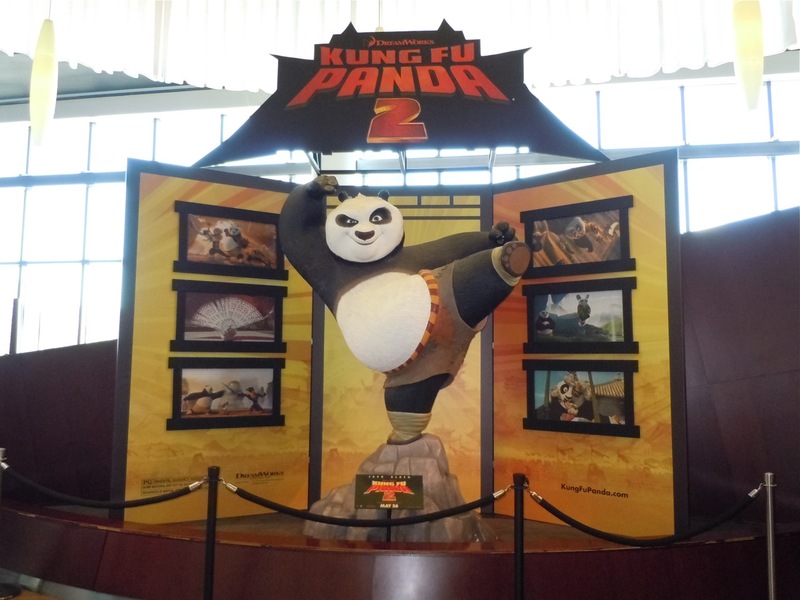 Daily Billboard loves this new creative for Kung Fu Panda 2. The first thing you see from a distance are Po's cute panda ears sticking up grabbing your attention. The bright yellow billboard also really stands out brilliantly against that glorious California blue sky. 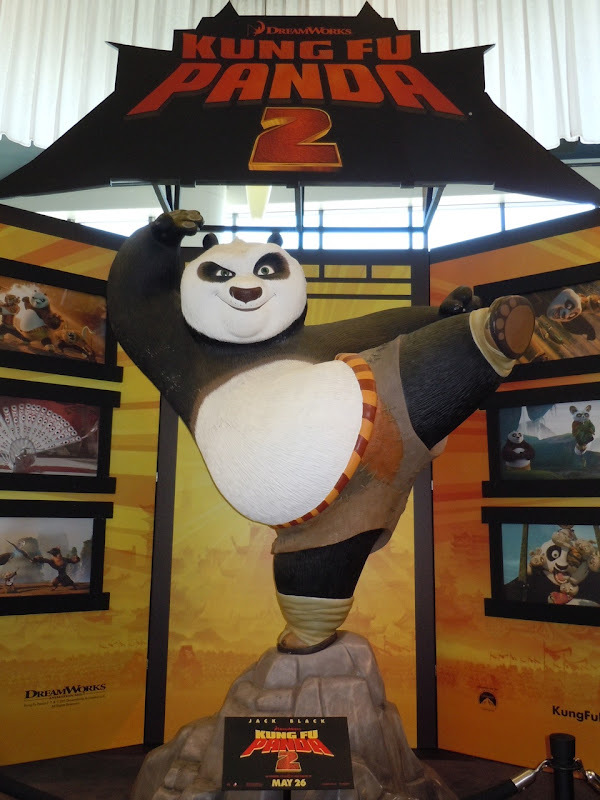 As a special bonus today, here's a promotional statue of 'Po the Panda' photographed at ArcLight Sherman Oaks cinema on April 29, 2011. 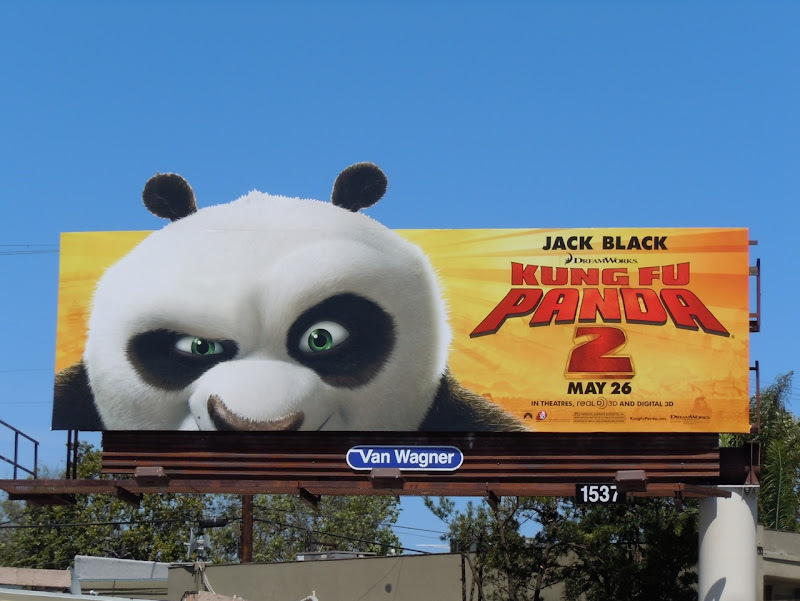 This vibrant billboard for the movie sequel was snapped along Melrose Avenue on April 25, 2011. 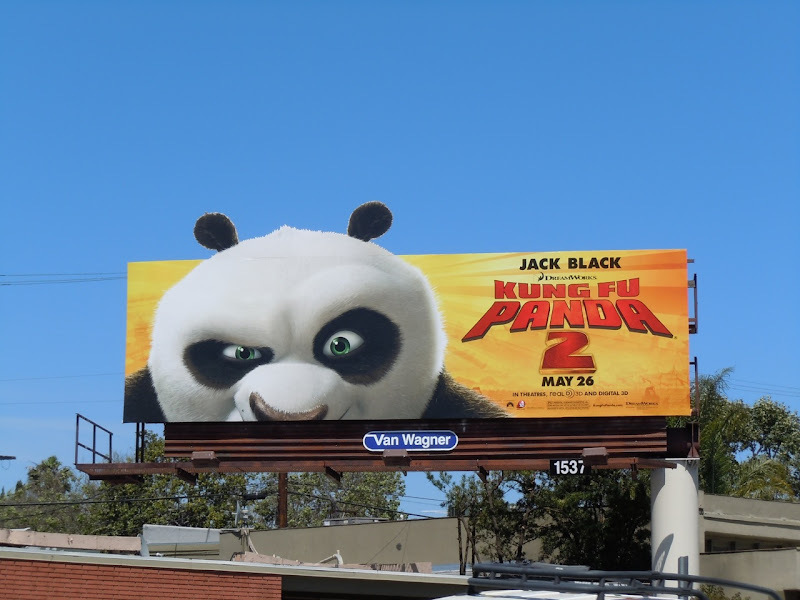 Be sure to check out more Kung Fu Panda 2 billboards here at Daily Billboard.